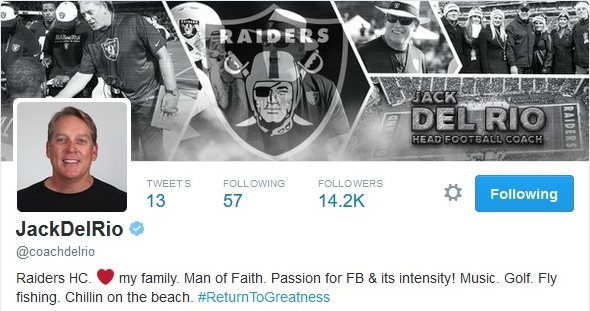 After a bit of pushing from his players, Jack Del Rio has joined Twitter. Not bad acquiring 14,000 followers in under 24 hours. Why don’t you follow him as well for any pointers on the move to Vegas. Search twitter for @coachdelrio.